Depending on where you live, there may be plenty of options, or they may be few and far between. In my neighborhood of Yorkville (Manhattan) there are only 4–5 choices within walking distance (we live in the low 80s closer to the East River). There are a bunch of programs clustered north of 96th street, and then some farther down in the 60s. You can find out your options at the Pre-K Finder website. Why do you need a ridiculous, absurd, total overkill model to tell you how to pick a Pre-K? Because – there are SO many factors to consider! As if living in New York City isn’t difficult enough (see New York v. The Simpsons for some great examples), you have to learn all about school zones, districts, siblings in districts, seats, offer rates, types of schools, and more. I’m not going to get into all of these details—you can find them at the fabulous Dept of Education website http://nyc.gov/PreK. However, I will cover the things I believe you need to understand in order to use this model. Why? Because I’m a nice guy. And contrary to popular belief, New Yorkers are nice people. We’ll always stop to give you directions—just don’t get in our way during rush hour. Now that you have your fancy coastal elite spreadsheet at the ready, we can start entering information. You need to understand if each school is a District (DOE public school), NYCEEC (programs usually for low-income students, contracted to a community center), a DOE Pre-K Center, or a charter school. Your preferences here will be personal, so weight them accordingly. Unless you’re driving a car, have a private car (in which case you’re probably not sending your child to public school), or Uber everywhere like a true coastal elite, you probably want to be able to walk to your kid’s school. So head on over to Google Maps, and find out the distance each program is from your apartment. Woohoo—we’ve reached our first formula! 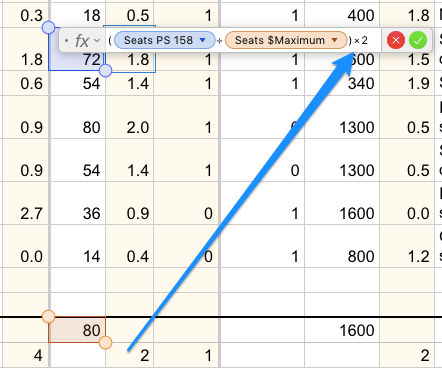 The spreadsheet will find the maximum distance in column F (Distance), subtract the distance from the school from that max value, and then multiply by a number (in this case, 3) that gives us a score range of 0–2. How do I change the weight of different factors? This part is relatively simple—for the scores that are binary (0 or 1, 0 or 3, etc), you’ll just adjust those values by hand. For the scores that are calculated using a formula, there will be a value (a multiplier or divisor) that you’ll simply edit in the formula. The reason we’re using formulas to calculate this stuff is so that we can normalize the resulting score with the scores of other factors. Update: The spreadsheet is now in Google Docs, which makes it easier to share. How many seats does the program have? Will you receive an offer? 72 seats looks great on paper. However, you now need to look at the data available in the Pre-K Directory in regard to the acceptance rates from the previous school year. If we look at 158’s likelihood of an offer we realize crap that is totally not going to happen. That school only accepted zoned studens last year, and most of them were probably ones with siblings already attending that school! That’s how the priority goes: zoned with siblings, zoned without siblings, in-district, out-of-district, and I may have missed one or two other categories in there. In short, it’s complicated. Our likelihood of getting into this school is basically zero, so this is a great smack in the face from reality. But don’t despair, because knowledge is power! What in god’s name do I do with my child after school? If your kid is already in a fabulous daycare like mine (http://underthetinkertree.com), you just need to ask if the staff can pick up your kid from school and hold them until you get home from work. If you have a different situation, you’ll want see if the school has an after-hours option. You need to call each school to find out how much it costs and what the details are. It sounds horrible I know (who makes phone calls these days?) but they’re generally very responsive and helpful. Now, even if your daycare is great, you may want to rank schools with after-hours care higher, so that you can save some more money on your current childcare costs (daycare costs so. much. 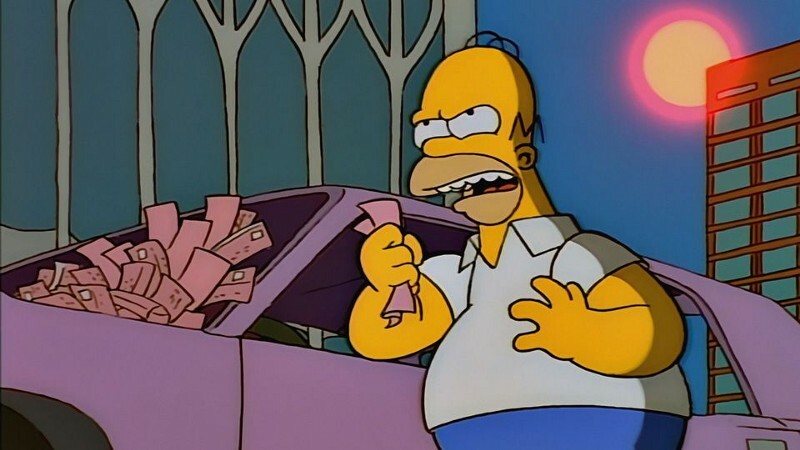 money). You could literally rent another apartment instead of having a kid here, but that’s a post for another day. Finally, we get to Pre-K and School Scores. If the program is new, there will be no Pre-K Score, because well… it didn’t exist last year. What I have done is found the overall School Score and used that in place of a Pre-K score. It’s not a total apples to apples comparison, I know—but it will do to give us a general sense of our overall chances with each program. As you can see here, we find the average of both columns and multiply by 0.75 (to give the scores a weight of 0–5 … this again is a weight that you can adjust by futzing with the formula). It’s up to you to decide whether distance, after-hours care, or school rankings is more important to you. It’s a highly personal decision. Just like renting an apartment here, you’ll never get everything you want—and that’s ok. Bringing it all together, in one final absurd scoring system. Remember when you said you wanted to have a kid in New York, and that it would take like at least a year to get pregnant—probably longer—and then it happened really, really quickly, and now here you are blogging about arcane weighted ranking models for PRE-K, for god’s sake? We’ve all been there (ok, or maybe not), and now it’s time to tally up our final scores so that we can put these damn schools into the online application and be done with this educational nightmare. Aha, there’s nothing left to do other than sort the Total Rank column in descending order, and BOOM you know how you should rank your choices. You are automagically waitlisted for every program you DON’T receive an offer to, IF and ONLY IF it is ranked above the program you receive an offer to. Example: You list 12 schools (absurd, I know—who has time for all this?) and receive an offer for school #8. You will automatically be waitlisted for schools 1–7. For schools 9–12, you will not be waitlisted. This was not a factor in our final ranking, but it may be for you. Skip to the 0:11 second mark for the truth about New York. Thanks for reading, and please be sure to hit the recommend button if you enjoyed the post!